Performing Ashlesha Bali Pooja on Ashlesha Nakshatra days will effective and yield good results. Ashlesha Nakshatra day will comes once in a month and it will remain for 24 hours. Ashlesha Nakshatra that too on Sravana Masam, Karthika Masam, Margashira masam will be more effective for this pooja. 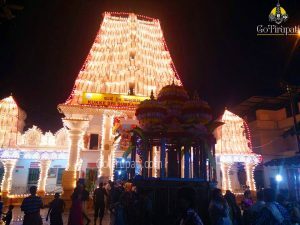 Pooja will not be performed on special days such as Sivaratri, Ekadasi, Solar and Lunar Eclipse, Two weeks during Annual festivals, Dasami, Astami. Make sure that your trip dates don’t fall on these dates. Tickets will be issued over the counter for the same day pooja, online booking is not available for this pooja. Ticket counter is available at the entrance which comes on right side. 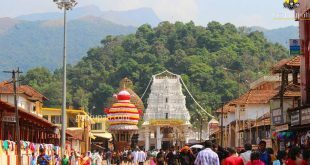 After purchasing the tickets over the counter , one should perform Sankalp, priest who will be available inside the temple. You need to find a priest who is readily available for Sankalp. Sankalp will takes around 10 mins after which you need to enter another Ashlesha Bali Pooja mantap entrance for which is available next to Sankalp mantap. Ashlesha Bali Pooja will be performed for the group, it will not be done for single or couple. 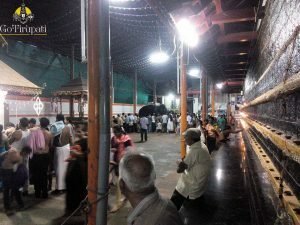 Pooja will not start immediately, they will wait for 20 – 30 mins, as they want to perform pooja for all in one go. By time you enter mantap, there will be a Rangoli drawn which is in the shape of Serpent. This whole pooja process takes another 30 mins. At the end of the pooja, prasadam cover will be given to you after showing them the ticket. Prasadam cover contains, one full coconut and one half coconut and dhoop sticks. These dhoop sticks should to be placed in the pooja room at home. Take a holy dip at Kumaradhara River which is 2 km from Subramanya Swamy Temple. Auto rickshaws will be available from Temple. After completing bath here, you need to perform 6 pradakshinams at Aadi Subramany Swamy Temple. After pooja if you want to have food, then food should not have Garlic, Onions and Non veg. After reaching home, you need to prepare a sweet from these coconuts. Only after eating the sweet made out these coconuts, you can have food with onions. Meanwhile if you want to have outside food, then you need to eat a piece from this coconut before taking any outside food. 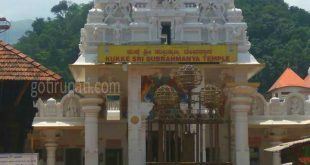 How to reach Kukke Subramanya Swamy Temple? 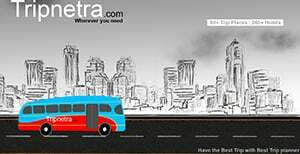 From Bangalore, KSRTC runs direct buses to Kukke. 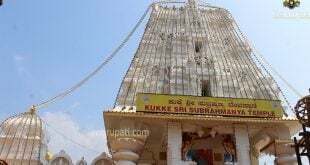 Bus starts around 11 pm and reaches Kukke hill at early hours. 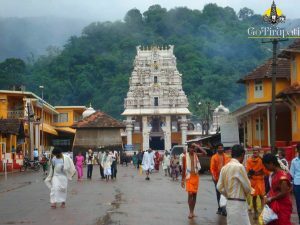 Private buses do run to Kukke on daily basis. Temple 335 Km away. From Mangalore, Temple is 183 km, KSRTC direct bus is available. 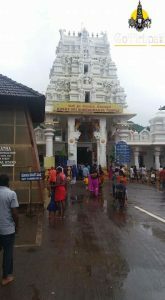 You can perform kukke asleshabali pooja at 7 am and 9.15 am and it cost you Rs 500 . Can we perform ashleysha pooja on days other than ashleysha Nakshatra day. If so,can you please suggest on other day during May 2019. You need to check that with your local priest . You can perform aslesha bali pooja daily at 7 am and 9 am which cost you Rs 500 .